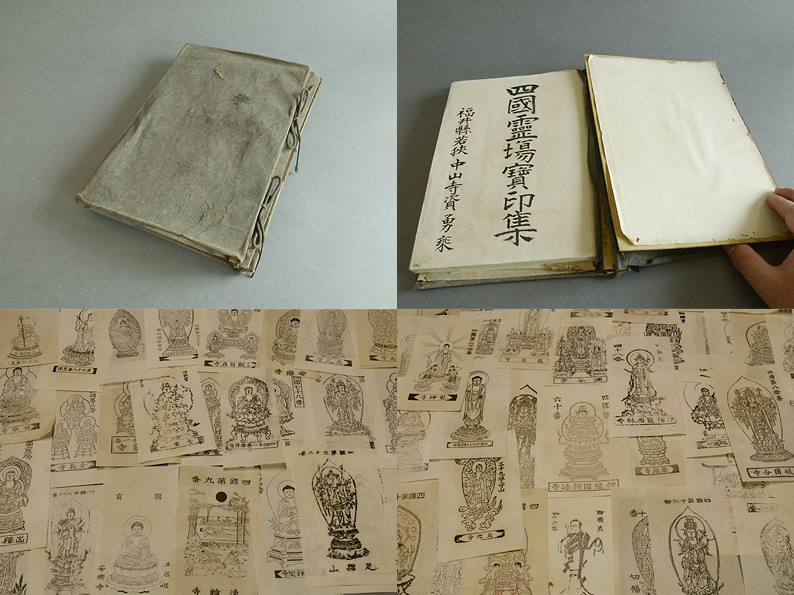 STAMP BOOK OF SHIKOKU PILGRIMAGE (Dealer: Jinta) – Pilgrims passport book with affixed red seals of the names of sacred places (the temples) through the pilgrimage to the 88-site Shikoku circuit, attached with its ‘gofu’ paper talismans as well. Early Showa period, 20th century, Japan. Book: approx. 28 x 19cm (11.02 x 7.48in) / 44pp.